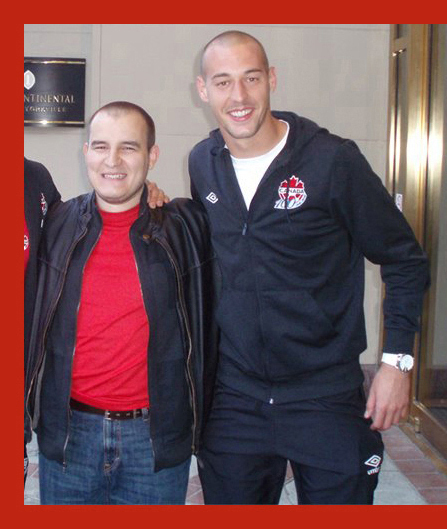 Canadian journalist Djuradj Vujcic and Canadian international goalkeeper Milan Borjan in front of the InterContinental Hotel in Toronto, Ontario, Canada (photo by Prvoslav Vujcic, MFA). In the past few weeks, it looked as if Borjan would sign for Red Star Belgrade but nothing came of this. On July 11th, Borjan left for England to try out for Wigan, who have been very close to returning to the Premier League. 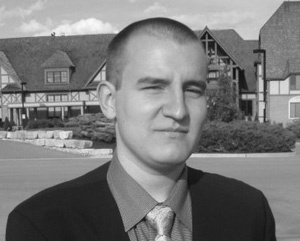 As reported earlier this year, Borjan was very close to signing for Serie A side Napoli. Borjan finished his contract with Sivasspor on February 3rd and spoke with the Turkish Football Federation to ask if they could change the end date to the 31st of January because that’s when he made the agreement with Napoli to sign for them.